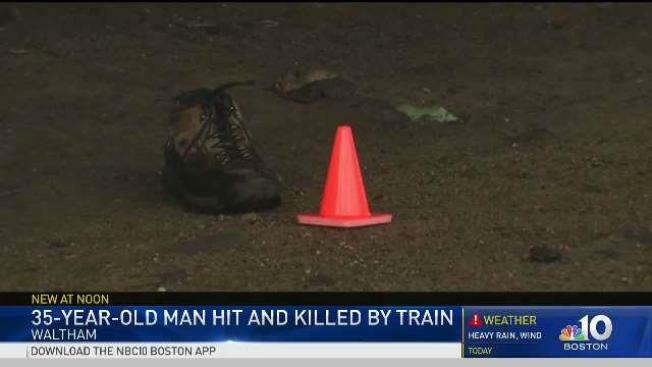 A 35-year-old man is dead after he was struck by an MBTA Commuter Rail in Waltham, Massachusetts. A 35-year-old man was fatally struck by an MBTA Commuter Rail train on Tuesday, according to Transit Police. The MBTA canceled the 10 a.m. train from North Station to Fitchburg due to ongoing police activity. The 8:45 a.m. train from North Station remains stopped at Porter. Shuttle buses will replace trains between Waverly and Waltham. All other inbound and outbound trains on the Fitchburg line should expect delays. Photos from the scene in Waltham show what appears to be a body on the tracks, covered by a sheet. The next outbound train from North Station is scheduled to leave at 11:15 a.m.
MBTA Transit Police could not immediately be reached for comment.